Some believe sugar is killing us. Some believe sugary foods like cake, pies and ice cream are comfort food, but in reality, sugar is disrupting our health. Now I think of sugar as a toxin in most people. A little is probably OK once in a while, but too much and in the wrong people, not OK. The most vulnerable people are children and those with a tendency toward blood sugar problems, but most of us are at risk. Aside from causing us to gain weight, a higher intake of refined sugar increases the risk of insulin resistance, type 2 diabetes, and cardiovascular disease. Adding to this already serious list of chronic health conditions, high sugar intake also affects brain function, and by extension, mood and energy. In my forthcoming book, Brain Body Diet, I devote entire chapters to debilitating health conditions that affect the lives of so many women today, namely weight loss resistance, brain fog, anxiety, depression, and early memory loss. I classify refined sugar as a “dangerous toxin” because evidence shows that it causes brain fog, which may include lack of focus, clarity, recall, and acuity, as well as mental fatigue. A higher intake of refined sugar has been associated with lower cognitive function, memory, and intelligence. Research over the last years as clearly defined the gut/brain connection and shown how the health of our gut not only impacts our health but also mental state. A diet high in sugar can lead to dysbiosis of the gut, or Small Intestine Bacterial Overgrowth (SIBO). In turn, dysbiosis can lead to an overactive stress response as well as a reduction in your body’s ability to calm itself, a major factor in reversing anxiety. In one large-scale study out of the UK, consuming more sweet food and beverages was shown to be associated with a 23 percent greater risk of depression, independent of other health behaviors or sociodemographic factors. Do I need to go on? Do you want to hear how sugar feeds the bad microbes in your gut, or are you ready to quit sugar now? Quitting sugar is hard, really hard. In fact, the immediate effects of stopping blood sugar can result in mild withdrawal-type symptoms. 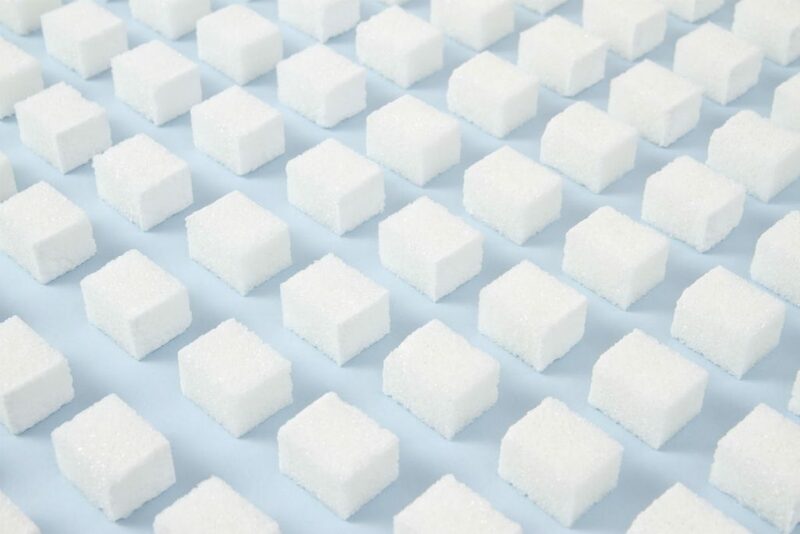 Depending on the amount of refined sugar you consume, when you first quit sugar you may experience a temporary drop in blood sugar levels causing sweating, shakiness, and a feeling of hunger. But if you know what to replace it with, i.e., more fresh vegetables with fiber, anti-inflammatory protein sources, and healthy fat, this is unlikely to happen. More common is to feel better with stable blood sugar, so your blood sugar isn’t crashing making you irritable, moody, and dumb. Over the next few days, you may have withdrawal-like symptoms including headaches and a drop in energy levels. You may experience strong cravings for something sweet. But these symptoms are only temporary. Once you make it over the difficult first few days, your body will very quickly thank you and begin to repair itself. Insulin levels can be reset after three days. Research has shown that within 72 hours you can repair your insulin receptors. As insulin levels begin to stabilize, the other hormones involved in fat storage, such as leptin and ghrelin, will also start to return to normal levels. Improved, even optimal fasting blood glucose level and post-prandial, which results in better hemoglobin A1C, the three-month average of your blood sugar. Improved mental clarity and no more brain fog. Hormones related to appetite and fat-storage may stabilized resulting in a better body weight set point, even weight loss. Read more about this feature in Brain Body Diet, available now on pre-order. If you continue with your sugar-free (or drastically reduced) lifestyle, you will find that when blood sugar levels are stable, the excess pounds come off and stay off. The stubborn belly fat around your middle will be reduced. Six months without refined sugar will decrease your risk of type 2 diabetes, cardiovascular disease, stroke, dementia, and early aging. It is a win-win situation. What has been your experience with quitting sugar? Was it difficult? What do you notice in how you feel compared to before? Kindly let us know in the comments below.